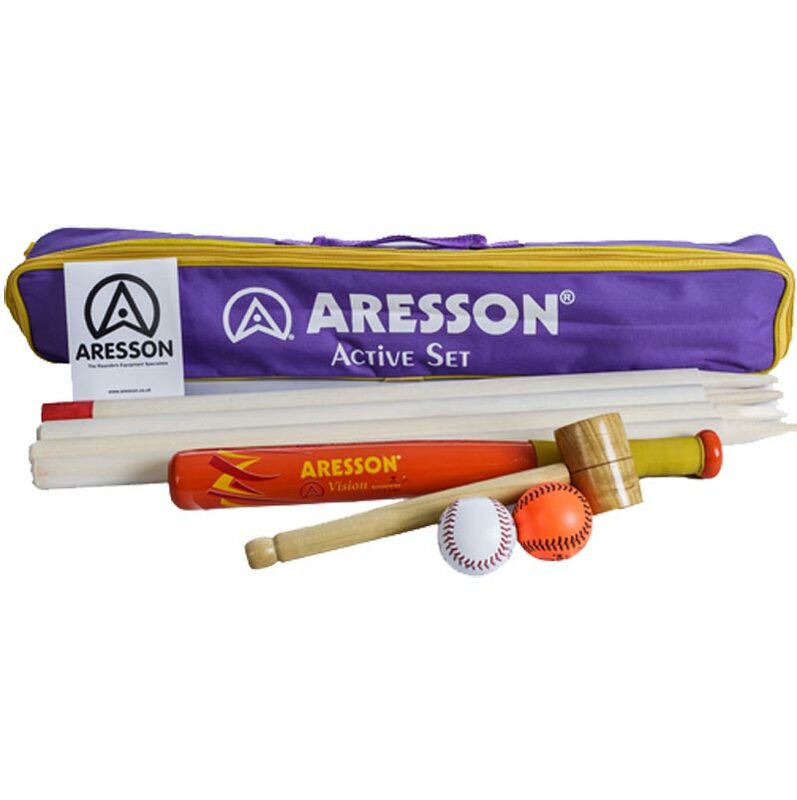 The Aresson ® Active Rounders Set is a premium set for competitive games at home or in the park. 1 x Vision rounders bat. 1 x Autocrat rounders ball. 4 x Short rounders posts. 1 x Abbreviated rounders rules guide.